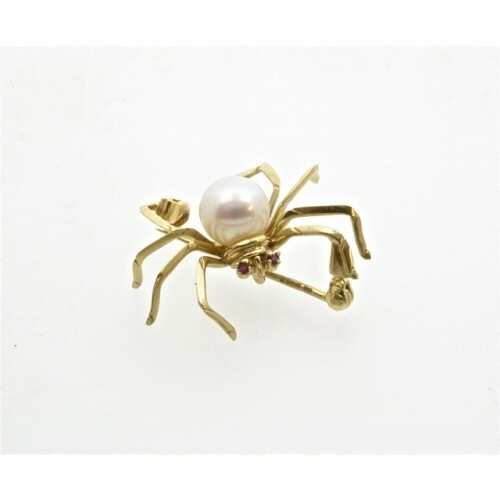 Pearl and ruby spider brooch. 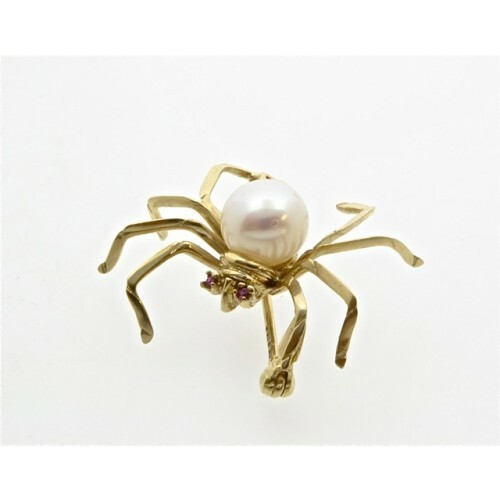 9ct gold spider brooch having ruby set eyes and a cultured pearl abdomen. The pearl is 7mm.